It's a well-known fact that all internal combustion engines need air to complete the process that makes your car operate. However, unwanted particles such as dirt, dust, grime, water, and even bugs, can make their way into the engine through the air intake, which can lead to problems like abrasion, corrosion, or build-up. This is why cars come with an air filter. The air filter prevents contaminants from passing into the piston chambers by trapping all of these impurities. Over time, this barrier will start getting dirty to the point where it needs to be changed out altogether. Since the air filter is such an important part that contributes to your car's efficiency to burn fuel, it's important to make a service appointment for your MITSUBISHI at GLADSTONE MITSUBISHI in MILWAUKIE, OR. Not all vehicles are created the same, though, which is why it is suggested that you check the type of filter that your car needs, as well as how often it needs to be inspected and/or replaced. The easiest way is to look it up in your Owner's Manual. Air filters can be made of paper, foam, or cotton. Also, air filter housings may have simple fasteners and be easy to access, but others may require tools like screwdrivers, wrenches, or sockets. Some fastener types may come in the form of cartridges, screws, snaps, or buckles. 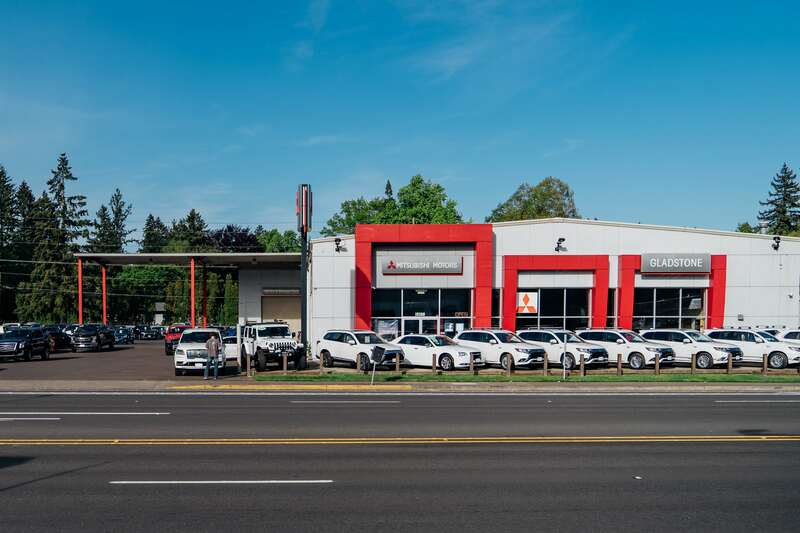 Each presentation can vary according to brand, model, and year of the vehicle in question, but we can do it all here at GLADSTONE MITSUBISHI in MILWAUKIE, OR. So, make sure you take advantage of our MITSUBISHI airfilter replacement service at GLADSTONE MITSUBISHI in MILWAUKIE, OR. Here at GLADSTONE MITSUBISHI we have the part that fits your car and trained technicians to guarantee a professional job in every service. Getting in your car on a hot summer day in need of some cool air only to find out the air conditioning system in your car has stopped working is not a position most people want to find themselves in. We at GLADSTONE MITSUBISHI in MILWAUKIE, OR can help avoid this situation from happening. Our expert service staff will fully inspect your MITSUBISHI air conditioning, including checking to see if your Freon is full. We will make sure it's working properly, so you don't have any issues on those extra warm afternoons. There are many reasons why your air conditioning system in your MITSUBISHI has stopped working. It could be that the chemicals in the system have worn out and need to be replaced. There's also a chance your vehicle is leaking fluids. If this is the case, not only is your air conditioning not performing the way it should, but your entire engine could also be affected. Additionally, there is also a chance that dirt, dust, and gravel from the roads you travel on have gotten caught in the engine, which can then clog your air conditioning system. Not only does this leave you hot and uncomfortable inside your vehicle, but this build-up of debris puts strain on the performance of your MITSUBISHI, as well as its gas mileage. When you bring your vehicle into GLADSTONE MITSUBISHI in MILWAUKIE, OR, you can be sure that your MITSUBISHI air conditioning system is working the way it should, without slowing down your car. Every time you bring your MITSUBISHI into the Service Department here at GLADSTONE MITSUBISHI, you not only get exceptional customer service, but all of our services are done at a reasonable price that fits your budget. Our certified service team knows the inner workings of your air conditioning system, as well as every other components of your vehicle, so you will leave having confidence in more than just your vehicle's ability to keep you cool and comfortable. Let us at GLADSTONE MITSUBISHI in MILWAUKIE, OR make sure your air conditioning system is working the way it should, so it doesn't shut down at an inconvenient time. Bring your MITSUBISHI to get inspected by our expert service staff today! You can make a service appointment right here on our website at a time that fits best within your daily schedule.